This is an older version. The newer version is at the top of the New Bibliography page. 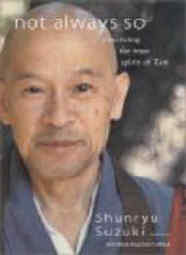 shunryusuzuki.com - the archive comes to you - all the transcripts - all the lectures from these books unedited as Suzuki gave them, all the audio, film, photos. Suzuki, Shunryu. 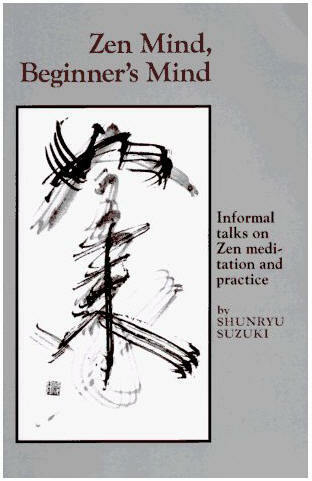 Zen Mind, Beginner's Mind: Informal Talks on Zen Meditation and Practice. Weatherhill, 1970.
the Shambhala link to Shambhala books by Shunryu Suzuki which are editions of ZMBM and Zen Is Right Here: Teaching Stories and Anecdotes of Shunryu Suzuki, Author of Zen Mind, Beginner’s Mind [edited by DC] .Amazon link. Shambhala Publications link and Amazon link to the 40th anniversary issue of ZMBM. Shunryu Suzuki, edited by Edward Espe Brown. Not Always So: Practicing the True Spirit of Zen, Harper Collins 2002. This is the true sequel to Zen Mind Beginner's Mind. Hit thumbnail to enlarge cover. For more info go to Branching Streams. Wind Bell: Teachings from the San Francisco Zen Center - Wenger, Michael &Erlich, Gretel (Editors) 1968-2001 North Atlantic Books, 2001. A great collection of various articles, including Suzuki lectures, from old Wind Bells. The Trikaya - edited by Tim Buckley from Suzuki lectures on the Lotus Sutra - the text with a link to a PDF of the Wind Bell that it was published in. 432 pages with 16 pages of b/w photos. 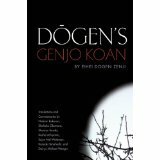 Just stumbled across this not yet released book: Dogen's Genjo Koan: Three Commentaries by Eihei Dogen, Nishiari Bokusan, Shohaku Okamura and Shunryu Suzuki (Aug 1, 2011) Published by Counterpoint. And then there's Thank You and OK! : an American Zen Failure in Japan which has more about Suzuki in it than any other book except Crooked Cucumber - 17 pages all added up. Go to section for these books in this site's bibliography which includes Amazon.com links. 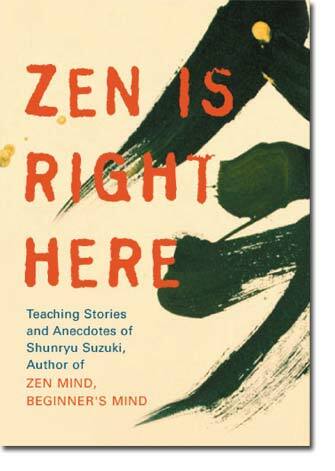 Also many other books with material on Shunryu Suzuki. 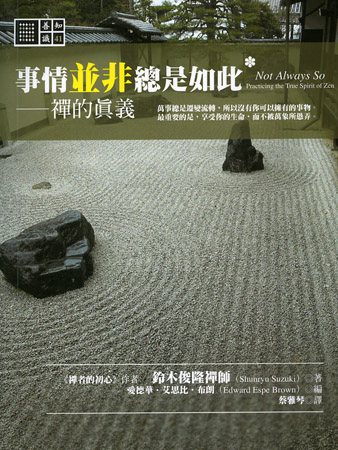 I am very happy to inform you that Shunryu Suzuki's "Not Always So" has been published in Taipei, Taiwan, on Aug. 24, 2007. The book so far has been very well received by the huge Zen Buddhists population in Taiwan. As my recent knowledge, it also starts its selling in the bookstores in Hong Kong and Malaysia. For people who can read Chinese, they can go to this link to purchase the book. Thank you for all your help on the process of translating this book (which I mentioned it in the translator's note). Wish all is well with you. The art of Yeachin Tsai - and. Here's her daily art blog.